Welcome to the Food Routes blog. Here at Food Routes, we are passionate – or one might say fanatical – about food and how we believe it to be a major component in defining “a sense of place”. Name a particular food and a country immediately comes to mind….foie gras = France; pasta = Italy; paella = Spain. How many times do you find when talking about your best travel experiences, you realise that amasing edible adventures are inextricably interwoven in your tales? More often than not, we would surmise! Just as that pinch of special seasoning elevates a food from the dull to the divine, we hope to enhance your Food Routes experience with the Table Talk blog. A regular sprinkling of stories on the history of the foods of South Africa, spotlights on culinary luminaries both past and present, exciting food events, festivals, wineries and unique food producers are certain to spice up your journey and hopefully whet your appetite for more Food Routes adventures. START THE SPARKS AND SET THE SIZZLE TO THE SPRING AND SUMMER BRAAI SEASON! RECIPES, TIPS AND TOP FOOD, WINE & BEER PURVEYORS SHOWCASED AT FOOD ROUTES 1ST POP-UP EVENT. Here’s just a smattering from the smorgasbord of ideas and offerings presented at Food Routes’ Terroir to Table event. We urge all our Food Routes followers to support the local food, wine and beer purveyors showcased. As Reuben Riffel and Louise Gillett will agree – a chef’s perfection on the plate is only achieved with perfection in the products used. No service business, especially one in the hospitality and food sector can rely solely upon location, owners and management. The quality of staff is the foundation upon which one’s success is built, achieved and maintained. And, as we at Food Routes can attest without reservations, Bartholomeus Klip sets a high bar for the rest of the industry in the attention to detail they provide for their guests. At Bartholomeus Klip one is always welcomed with a warm smile and the staff instinctively as if by magic anticipates your every need, even before you think of what it may be! So if you need to turn off the city hustle, bustle and noise and tune-in to your loved ones and re-charge your emotional batteries, be sure to place Bartholomeus Klip at the top of your bucket list. Surround yourself with nature, fabulous food and fun activities.. all designed to refresh and re-invigorate your soul! The Terroir to Table event at Bartholomeus Klip marched into action under the leadership of a triumvirate of tong masters – Chefs Rueben Riffel and Louise Gillett along with Bartholomeus Klip’s maintenance manager “Super Spitbraaier” Schalk van Schalkwyk. Chef Reuben flexed his braai-ceps preparing his flame kissed Buffalo Bombs. Balls of Buffalo Ridge’s Mozzarella blanketed by strips of prosciutto and vine tomatoes were grilled and served up as a sizzling and savory dish. Together with Chef Vicky Stott - the newly appointed chef at Reuben’s signature restaurant at Abalone House in Paternoster (another Food Routes destination) – a slew of slaais and sauces where whipped up to accompany Schalk’s spectacular “farm harvested” spitbraai lamb. Chef Louise and her staff orchestrated a medley of grilled prawns, homemade springbok sausage, beercan chicken and roasted “wit Boer pampoen”. All was brought to a culinary crescendo with a grand finale of beer pannacotta cooked at the braai…a smoky caramelized sensation!!! Much of the inspiration for this day of decadent dining by dint of fire came from two cookbooks – Reuben Riffel’s - Braai – Reuben on Fire and Lesley and Louise Gillette’s Life on a Cape Farm. These are must-haves for anyone interested in Cape cookery and how it is coming into play in today’s culinary world. At the end of this blog posting you will find some of the recipes for the delectable delights enjoyed at Terroir to Table. Leaving the busy legal life as an advocate in Jo’burg, Wayne Rademeyer opted for a road less travelled. As the first and only South African producer of authentic & artisanal mozzarella made from Italian water buffalo that he imported from Australia, Wayne’s creation brings to any feast the rich, creamy freshness this classic cheese delivers with each and every bite. Mozzarella di Bufala is not an easy cheese to make well. Sam Anderson, in a 2012 piece for the New York Times Magazine Food and Drink Issue, characterized trying to replicate the Italian version as the Great White Whale of cheese-making. To “harpoon” the taste and the texture takes study, practice, patience and passion. Outside of Italy many an attempt at capturing the essence of this mozzarella’s soft creaminess without a rubbery mouth-feel has proven to be an often missed target. Fortunately for us, and pardon the pun, Wayne has hit the bull’s eye dead center. Many a place touts itself as a family business, but often the family is in the name not involved with the daily business. Not so, with Deli-co! As the warm and personable marketing manager, youngest son, Hendri Truter tells the tale, the family business began on the “kombuis tafel” where everyone pitched in to make wors to sell and that collective collaboration continues to this day. From this humble and “all hands on deck” beginning, a now thriving business exists on the Truter farm, De La Fontaine located near Riebeeck-Kasteel. Hendri, along with his mother Susan, two older brothers Pieter and Frederick and their wives Enid and Suzaan work side by side with a crew of longtime employees creating the a solid foundation that keep this farm style butchery humming and on top of their game! Lamb and sheep are harvested from the farm, beef is aged to perfection and as their official slogan states Deli-co is Quality Meat Guaranteed. The go-to meat purveyor for many of the top restaurants in the Western Cape, Deli-co definitely delivers the goods. From quality meat at value prices and offering free central point delivery weekly at many locations in the region, Deli-co offers excellent down home service always served with a smile! The Bosman family history began in 1707 with the arrival of Hermanus Bosman to South Africa. A “sieketrooster” (a caregiver with responsibility), he provided medical, religious and legal aid to the Drakenstein community. He established a tradition of community involvement based upon the motto of the family crest…faith, hope and love, which is still carried on today by his descendants. In 1798 the estate known as Lelienfontein came under the care of the Bosman family ancestors. Producing wine up until 1957, the family turned its focus towards establishing its vine growing business and became a leader in producing vine nursery stock to South African wine grape growers. In 2006 at De Bos, the Walker Bay vineyards which are co-owned by the Bosmans and the Adama Apollo Workers Trust, plantings of close to 50 different grape varieties were undertaken. And in 2007, the Bosman family returned to wine-making in the renovated 250 year old cellar at Lelienfontein Estate. With their long-term expertise in viticulture, an access to a wide array of grape varietals and possessing quality winemaking skills, Bosman Family Vineyards delivers across the board. They offer a wide range of wines, flavor profiles and price points to fit any occasion from a wedding to backyard braai. Their range consists of unique and hard to find varietal wines such as Dolce Primitivo, Nero d’Avola , Fides Grenache Blanc. The single vineyard Optenhorst Chenin Blanc crafted from old bush vine grapes planted in 1952 is a prime example of a wine to add to your arsenal of flavors, body and balance. When it comes to pairing food and wine with the personal palate preferences of your guests, Bosman Family Vineyards wines gives you the range to create the perfect match! As we like to say at Food Routes, a craft brew in the hand is the beginning to a great braai! In this regards, you can’t go wrong with the lineup of fine beers from Darling Brew. Located in Darling, brewery owners Kevin and Philippa Wood are committed members of the burgeoning craft beer community in South Africa. In 2007, three days into a sojourn throughout Southern Africa, an idea to make beer began to bubble. Knowing nothing about brewing beer, they tasted the beers of the countries they visited. One thing they noticed was the variety in bottle sizes from 340mls in Botswana to the whopping wine-sized (750mls) they found in Rwanda. After much trial and tribulation, the dream of a great beer, served in a big bottle and brewed in Darling finally became a reality for all of us to enjoy. Darling Brew offers a lineup certain to please every beer lover’s taste preferences. So grab a cold Darling Brew in one hand, your tongs in the other and kick-off any braai bash with these thirst quenching quaffers that can’t be beat!!! Kloovenburg packs a one-two punch when it comes to providing perfect accompaniments to your offerings off the braai. From their stable of stellar wines to a cavalcade of condiments and oils produced from their estate grown olive orchards, Kloovenburg offers enjoyment with every sip and each bite. Start your braai off with a glass of White from Red Shiraz Sparkling. Not an MCC, this salmon pink bubbly provides a refreshing effervescence overflowing with a delightful balance between fruit and acidity. Follow this with selections from the trio of still red wines produced from the estate’s shiraz grapes. Pair the lovely Shiraz Rosé with a Caprese Salad as a starter course. What better fit for lamb off the spit than the Shiraz. And for that rich steak fillet flamed to perfection? The go-to wine is the Eight Feet, a Shiraz/Cabernet blend packed with flavors of dark tart berries and spices. As the saying goes, a picture speaks a thousand words! Food Routes simply could not resist the artistry of Hennie Van Taak. In our hearts he’s the Picasso of culinary tools and décor! Above witness a sampling of the magic his mastery of woodcraft coaxes from a variety of native woods such as wild olive. His salt and pepper mills have a 25 year warranty and will be heirlooms to pass onto your resident junior master chef. Candlelight, flowers and fruits take on a whole new perspective when set in his artful pieces. And use his stunning pens to write down oma’s recipe for posterity! Christmas time is right around the corner. Here are the perfect gifts for that foodie friend! For a closer look at these masterpieces go to www.hvantaak.wix.com/woodpenscom. What’s a braai without a game to play? So, in lieu of jukskei we created the following challenge. Upon arrival each guest was given one of four colored stickers. Then each group selected four members to represent them. Next, the four teams were each presented with a mystery box filled with a variety of ingredients from which they had to prepare a starter on the grill to present to Chefs Reuben Riffel, Louise Gillett and Vicky Stott for evaluation. Dishes were judged on the following criteria – flavor, originality/creativity and presentation. As well, each team had to craft a signature cocktail from a limited offering of spirits, mixers and garnishes. All had to be conceptualized, cooked, plated and presented within a 30 minute time limit. Try this at your next big braai gathering. It’s guaranteed to be a fun-filled and laughter–fueled food fight to the finish!!! Clockwise from upper left – Reuben looks on as the Red Team rallys – All eyes on are on the judges – The winning starter and signature cocktail – The Blue Team wins…and believe it or not all guests were given random colors so what were the chances that all team members would be wearing blue! Everyone enjoyed a good laugh over this. For further creative ideas please purchase these amazing cookbooks! Place lid on jar, shake and serve with or without a straw. Garnish with a slice of strawberry on the rim of the glass if you like. Leave out the bourbon for a non-alcoholic version. NOTE: For large gatherings pre-prepped your cocktails. Place single serving shots of lemon/ginger/cardamom syrup and bourbon in each jar. As guests arrive just add ice, water and mint. This recipe is a great way to serve hand-crafted quality cocktails quickly. You can adapt this technique to many other cocktail recipes. Experiment and have fun! Place 2 cups of sugar and 1 cup of water in a heavy saucepan. Heat and stir until sugar dissolves. Cut a 3cm long piece of fresh ginger into slicesand add to syrup along with a dozen or so cracked cardamon pods with seeds. Simmer until syrup thickens a bit. Remove from heat allow to cool and add the juice from 5-6 medium to large lemons. If you wish to have the syrup last longer add 1 ½ tablespoons of vodka. Pour into a glass jar with lid and store in refrigerator. Syrup should stay fresh for several weeks. 1/ Layer the prosciutto flat so that the pieces overlap slightly. Spread with basil pesto. 2/ Wrap the mozarella ball with the prosciutto and cook slowly on a grid over medium heat. On the same grid, grill the broccolini and vine tomatoes until soft. 3/ When the prosciutto is crispy, remove from the heat. Serve with the broccolin and tomatoes. Drizzle with olive oil and balsamic syrup. Serve with chili jam on top of the mozarella ball. 1/ To make the vinaigrette, whisk all the ingredients except the oil, very well, then gradually whisk in the olive oil to create an emulsion. Set aside. 2/ When slicing the vegetables and picking the herbs, place them in a bowl of ice water to refresh them. Strain, then take a handful of the mix and place in the middle of a clean dish towel. Grab the edges of the towel together and shake out the excess water. Repeat with the remaining mixture. You could also use a salad spinner. 3/ In a large bowl, dress the salad with the Ideal vinaigrette. Layer on a serving dish; try to give it some height. Top with sea salt and pepper and drizzle with extra-virgin olive oil. In a small bowl combine the rub ingredients. . Remove and discard the neck, giblets, and any excess fat from the chicken. Rinse the chicken, inside and out, under cold water and pat dry with paper towels. Lightly brush or spray all over with the vegetable oil and season, inside and out, with the rub. Open the beer can and pour off half of the beer. Set the half-full can on a flat surface and slide the chicken over the top so the can fits inside the cavity. Transfer the bird to the grill, keeping the can upright. Carefully balance the bird on its two legs and the can. Grill over indirect medium heat (180°C to 230°C) until the juices run clear and the internal temperature reaches 75°C in the breast and 80°C in the thickest part of the thigh, 1-1/4 to 1-1/2 hours. Keep the lid closed as often as possible during grilling. Carefully remove the chicken and the can from the grill, being careful not to spill the beer—it will be hot. Let the chicken rest for about 10 minutes before lifting it from the can. Discard the beer. Cut the chicken into serving pieces. Serve warm. To prepare the sausage filling: Melt the butter in a saucepan over medium heat. Fry the garlic and onions for 15 minutes or until the onions are soft and translucent; then set aside to cool. In a separate bowl, mix the thyme and rosemary. In a large container, mix the venison, pork fat and lamb fat. Grind the mixture through the medium plate of a meat grinder, about 6 mm, making sure that all your ingredients are spread through the mixture. Transfer the meat to another container and sprinkle over the paprika, seasoning and honey, as well as the herbs, garlic and onions. Using your hands, mix to make sure everything is evenly combined throughout. Pour over the chilled chicken stock over and mix again until the mixture is sticky but still wet. To assemble: Making sure there are no air pockets, place the meat mixture into a sausage machine. Place the casing in cold water, rinse and ensure that there is water inside. The water in the casing keeps it moist, prevents it from breaking and makes it easier to thread into the machine. Stuff the meat mixture into the prepared casing. Pinch and twist into 13 cm links or whatever size you prefer. The raw sausage can be frozen and will keep for up to 1 month in the freezer. Melt the cup of sugar to form a caramel. Add the 340ml beer and reduce until a syrup. In a same sauce pan, over a low heat, bring the cream, sugar and vanilla to the boil. Remove from heat and set aside to infuse for 20 minutes and in a separate bowl place the gelatine pouring over cold water and allow to sponge. Once the gelatine is soft, add to the cream mixture and whisk until dissolved. Add the yoghurt and stir until combined. Strain the mixture. Pour into a decorative serving bowl and place in the fridge to chill for approximately 2 hours. To assemble: Remove the Pannacotta from the fridge and wipe the edges to give a clean finish. Serve immediately. To garnish decorate with ginger crumble, rock salt and poached apples. Susan M. Cashin is a transplant from Austin, Texas to the valley of Klaasvoogds, South Africa. She is a freelance journalist specializing in the areas of wine and food, as well as a certified Sommelier (International Sommelier Guild) and a certified Master Gardener. 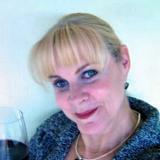 Susan believes the world of food and wine is in the midst of a major renaissance. Mentored by, and working with Master of Wine Tim Hanni and his cutting-edge research on how we psychologically as well as physiologically process our very individual taste experiences, Susan welcomes the challenges to old concepts and the opening of new doors to creative, innovative and more personalized food and wine enjoyment than ever before.